Despite the best preparation, it’s so easy for both kids and adults to get a serious sunburn. This can even happen on days when it’s not particularly hot and the sun doesn’t seem strong. In this post, Jerica shares a quick and easy sunburn relief spray that will ease the pain of sunburn. The recipe uses just 4 ingredients and two of those are essential oils. You combine the ingredients in a spray bottle, shake well, and spritz the sunburn. One of the ingredients contains tannins and oils that are ideal for treating damaged skin. Another ingredient has been used for ages to take the sting out of burns. One of the essential oils has skin healing properties, while the other cools the skin. 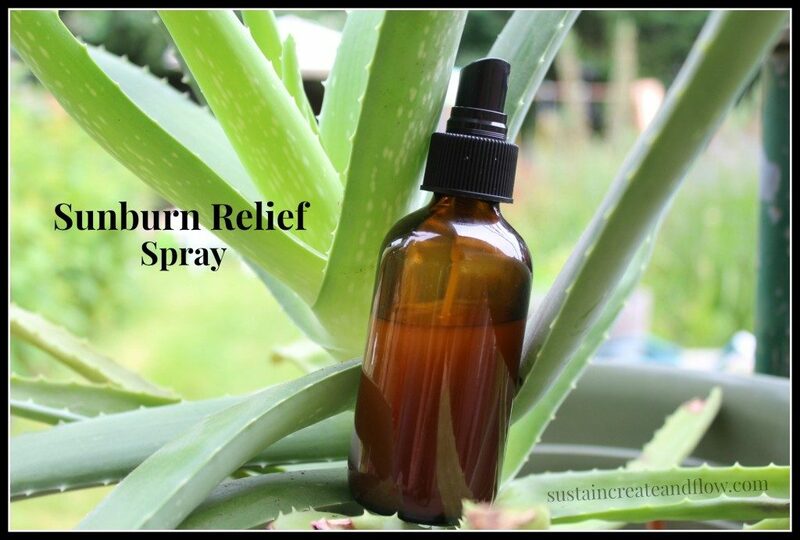 Click on the Homemade Sunburn Relief Spray link below to see the complete recipe.